A $31.5 million project to replace the Morgan/Sullivan Bridge would create a new and improved gateway into Agawam. For that duration, if you will, he’s been coping with many of the same issues impacting this community of roughly 29,000, which is technically a city (hence, it has a mayor), but in most ways considers itself a town. In fact, that’s the word you see over the front door of the municipal offices on Main Street, just a few hundred yards from where most of these ‘issues’ are clustered. “These are complex matters … there are no easy answers, and that’s why we’ve been dealing with some of them for 15 to 20 years or more,” said the mayor, referring to concerns that include the Morgan/Sullivan Bridge over the Westfield River that forms a border with West Springfield and serves as the gateway in the community. The bridge, built nearly 70 years ago, has long been inadequate to handle the traffic in that area — especially during the 17 days of the Big E each fall — and plans to replace it have been on the drawing board for years. That list also includes what has long been known simply as the FoodMart Plaza, located just north of the bridge. FoodMart anchored the plaza more than a decade ago, but after it closed just after the start of this century, filling the retail area has been an ongoing challenge for the community. It also includes a stretch of road known as Walnut Street Extension (it borders the FoodMart Plaza), which is most often described with the words ‘old’ and ‘tired,’ which have been used, well, since Cohen first took office. And there’s the so-called Lanes and Games property (on Walnut Street Extension), which has been long-closed, an eyesore, and a subject of considerable controversy for most of Cohen’s tenure in the corner office. As he talked with BusinessWest recently, Cohen was still discussing these same issues, although, in many instances, he was relating what he considers progress and the sentiment that, sometime soon, some of these matters might just be addressed in the past tense. Start with the bridge. Designs for a new span, complete with a unique, elevated pedestrian walkway and dedicated bicycle lanes, are now complete, said Cohen, adding that the project should go to bid in August, preliminary work will be underway later this year, and construction should begin in earnest nest spring. Like most infrastructure projects of this type, this $31.5 million initiative, to be funded with state and federal dollars and undertaken in conjunction with West Springfield, will bring some inconveniences during what is projected to be a three-year construction period, said the mayor. But in the end, it will generate much smoother traffic flow and a far more appealing gateway to the city. The FoodMart Plaza, meanwhile, has several new tenants (more on them later), and is bringing more people and vibrancy to the community, he said. As for the Games & Lanes property, if you’re an optimist, there is some light at the end of the tunnel there. Property owner David Peter, president of Site Redevelopment Technologies, recently informed city officials that the site, long hamstrung by environmental issues in the form of groundwater contamination, is now clean and ready for reuse. 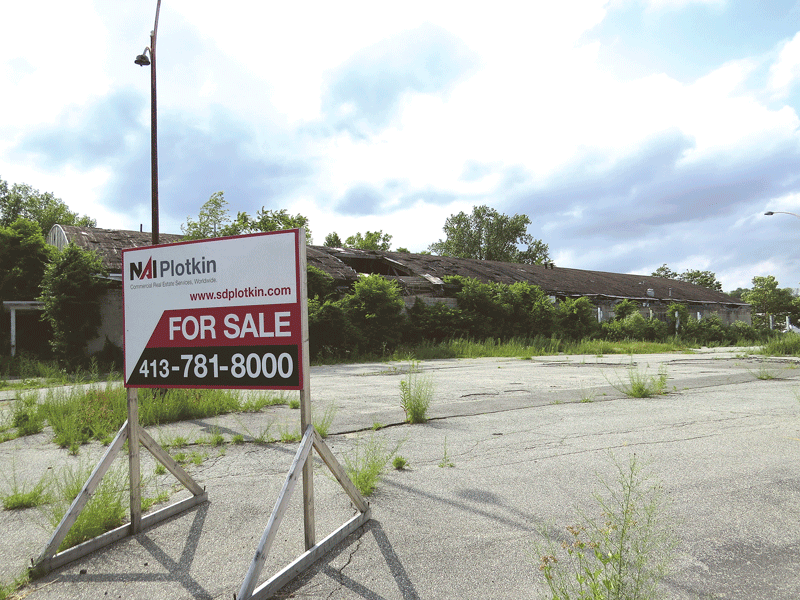 Whether the development community has any interest in the property in its current state remains to be seen, but if it doesn’t, Peter said, he will tear down the structure and then attempt to sell the land. But for Walnut Street Extension as a whole, it’s more a case of going back to the drawing board. Indeed, this spring, the City Council unanimously rejected a $5.3 million streetscape-improvement project for that area. Cohen then scaled the project back somewhat, with a $3.6 million initiative, but that, too, was rejected unanimously by the council. Following these setbacks, Cohen created something called the business modernization advisory committee, which will conduct a needs assessment of the area just over the bridge, including Walnut Street Extension, Suffield Street, and Main Street, and recommend a course of action moving forward. For this, the latest installment of its Community Spotlight series, BusinessWest looks at how this community is finally achieving some progress with some of its long-standing issues, but still has considerable work to do. In the run-up to the vote on the Walnut Street Extension plan, Cohen put the well-worn line from Field of Dreams — “If you build it, they will come” — to work as he made his case for the initiative and what it might mean for that area, which has a number of retail establishments, but bears a look from the ’60s or ’70s, not 2017. And in voting it down, the council, and especially its president, James Cichetti, who is now a candidate for mayor, threw it right back at him. “This is a great movie line, but really cannot be the basis of our capital planning, can it?” Cichetti wrote in his weekly Council Corner column as he criticized the mayor’s plan for being little more than cosmetic changes, with little, if anything, in it concerning business development or revitalization of the Games & Lanes property. But Cohen, who chalked up the council’s votes to election-year politics more than anything else, has used that movie line often over the years, and he says there is ample evidence that it is more than catchy rhetoric. Redevelopment of the Games & Lanes property, top, is considered one of the keys to revitalization of the Walnut Street Extension retail corridor, above. Indeed, he cited examples ranging from several new parks and park-restoration efforts the city has undertaken, to the now much-more-crowded parking lot at the FoodMart Plaza, to a new laundromat that opened in a spot just over the Morgan/Sullivan Bridge once occupied by Dunkin’ Donuts. Called Stay & Play, the state-of-the-art facility features play areas for children (and adults) and other amenities, and has been a popular spot since it opened. And then, there’s the pickleball facilities at Borgatti Field. The game, described as a cross between tennis, table tennis, and badminton, and played with a wooden paddle and a plastic Wiffle ball, has caught fire in Agawam, said the mayor, who told BusinessWest that he was one of many people who needed to be told what this game was and how it was played when the courts were first proposed, and now he gives tutorials to the curious. Despite these examples of facilities and businesses being built and people coming to various destinations in Agawam, Walnut Street Extension, and especially the Games & Lanes property, remains a case that will test that theory. As noted earlier, that area has been a thorny challenge since the start of this century. There are more than two dozen businesses in that area, but, as noted, the street has a dated look and feel to it and is sorely in need of a spark. It could come in the form of redevelopment of the Games & Lanes property, which is ready for reuse (although that appears to be a daunting proposition) or complete redevelopment. Walnut Street Extension is one of the key focal points of the most recent strategic plan for the community, drafted in 2010, said Marc Strange, Agawam’s director of Planning & Community Development. Its location, just over the bridge and off several major thoroughfares, makes it an obvious priority, he told BusinessWest, and a likely catalyst for further developments in the city. “The architecture is old and disjointed, and the area needs to be freshened up,” he said, adding that the engineering firm Tighe & Bond was hired to come up with a streetscape plan — the one that was rejected by the City Council. The mayor said he is optimistic that the business modernization advisory committee can create a game plan for that area that will win the City Council’s approval and, more importantly, achieve desired progress, especially with the new bridge and its capacity to make that section of Agawam more accessible. Another priority identified by that strategic plan is still another stubborn issue within the community — development of a large parcel off Tennis Road just off Route 57. 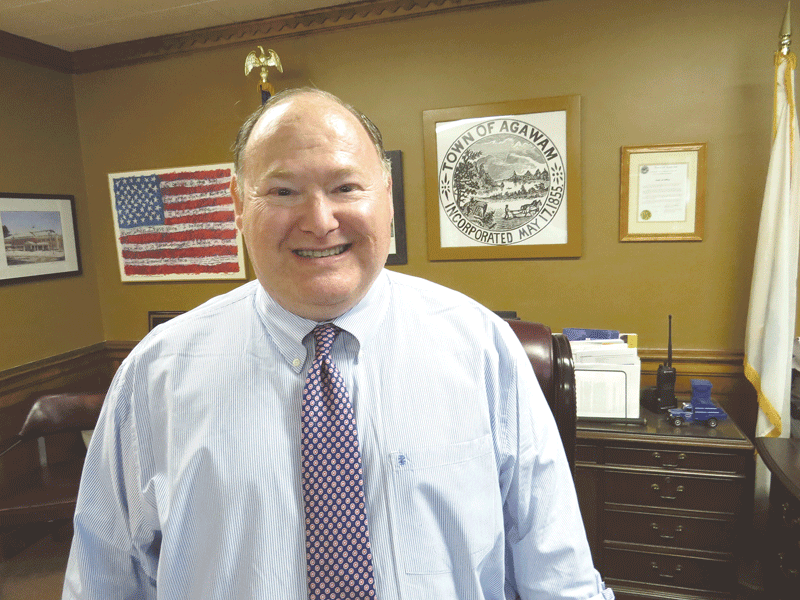 Mayor Richard Cohen says Agawam is generating progress with many of the challenging issues that have dominated his 16-year tenure as mayor. This matter actually pre-dates his tenure as mayor, said Cohen, adding that a high asking price on the part of the parcel’s owner and anxiety among voters concerning its best use have kept it from being developed. However, there remains strong interest in the property, and there is potential for progress, said Strange. “It’s a spectacular location for a regional destination,” he told BusinessWest, adding a broker is trying to identify big-box stores that may serve as anchors on the property. While the community grapples with larger issues such as the bridge, Walnut Street Extension, and Tennis Road, several smaller projects are in various stages of development, and together, they represent both progress and optimism within the community, said Cohen. He started with that aforementioned new vibrancy in the FoodMart Plaza. There have been several recent additions, including Building 451, Macho Taco, Aquarius Hydroponics, and a cigar lounge and smoke shop, he said, adding that these new arrivals are bringing more traffic to the area and filling a parking lot that has been mostly empty in recent years. “I drove by there recently on my way to the high-school graduation, and the parking lot was just humming with people; it was packed,” said Cohen, adding that the only vacancy of note (and a large one, to be sure) is the former satellite location of the Greater Springfield YMCA. He added quickly that there is considerable interest in that location, including a few pub-like establishments. Meanwhile, there may be more new development in the area just over the bridge. The Colvest Group, which is developing a retail and office complex just a few miles east on Memorial Drive in West Springfield, has acquired a former motel on Suffield Street and some adjacent properties. No plans have been announced, but Cohen noted that the company has a strong track record for developing successful retail and mixed-use properties (it already developed a CVS in Agawam), and there are hopes — and expectations — that the intersection just over the bridge will be the site of the next one. 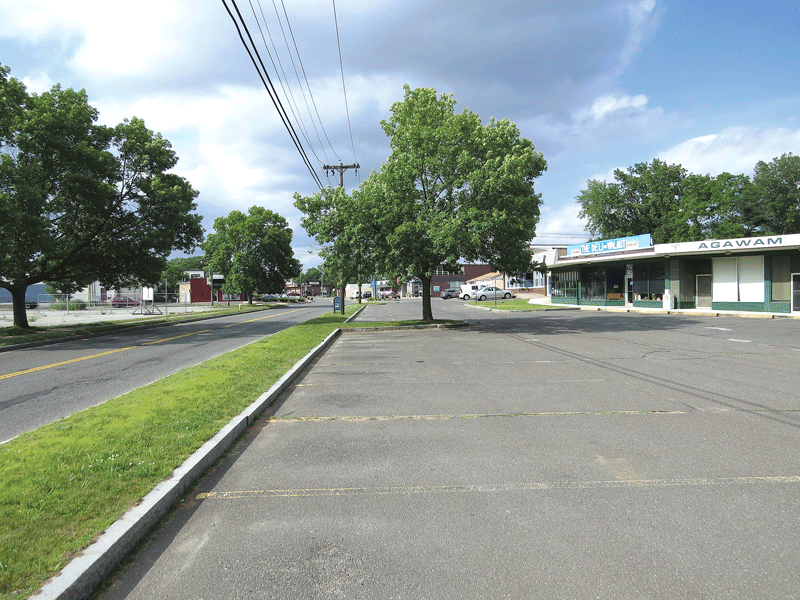 Also, an already established, and growing, retail area — the intersection of Route 187 and Springfield Street, not far from where the multi-lane section of Route 57 ends — is due for a much-needed facelift. The intersection will be expanded to accommodate more traffic and create better traffic flow, said Cohen, adding that the work is sorely needed and should help a number of new businesses in that area. 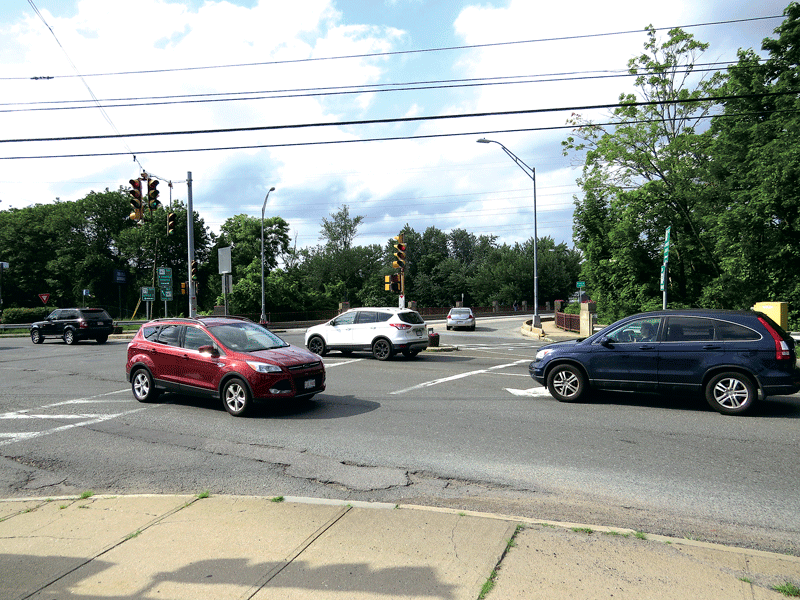 “This will be a monumental redesign of that whole intersection, with specified turn lanes, widening, and signalization improvements,” said the mayor, noting that, while Agawam and other communities will continue to advocate for the extension of Route 57 into Southwick (something they’ve done for 40 years now), they understand that such a project is a very long shot, and will continue to find ways to live with and improve the current infrastructure. Other recent additions and improvements, including everything from an $8.1 million track and sports complex at Agawam High School to a new dog park to those pickleball courts, are making the community more livable and attractive to people of all ages, said Cohen. Referring to his frequent use of that classic quote from Field of Dreams, Cohen said it’s much more than a line from a 30-year-old movie. It’s a mindset of sorts, he said, and a roadmap for putting some issues that have been plaguing the community for decades into the realm of the past. It’s already happened with several parks, the FoodMart Plaza, and even the new laundromat. And it can happen, he believes, with Walnut Street Extension, the Games & Lanes property, and the larger gateway to the city. “‘If you build it, they will come’ — it’s not just a line from a movie, it’s a fact,” said the mayor, adding that he hopes to provide the City Council, and the community as whole, with much more evidence of that in the months and years to come.